When selecting a major, Communication was an easy choice for alumni Isaac Bendavid. Since he was young he had always had an interest in the field, and was drawn to Castleton’s robust Communication offerings. “I have been able to get real world experience and practice in front of a camera, while also learning all aspects of film production,” Bendavid said. Since entering the program, Communication Professor Bob Gershon helped Bendavid explore various career options and enriched his educational experience. Bendavid explained that Gershon’s passion for teaching translated over into the classroom setting and made the experience as a student much more enjoyable and productive. 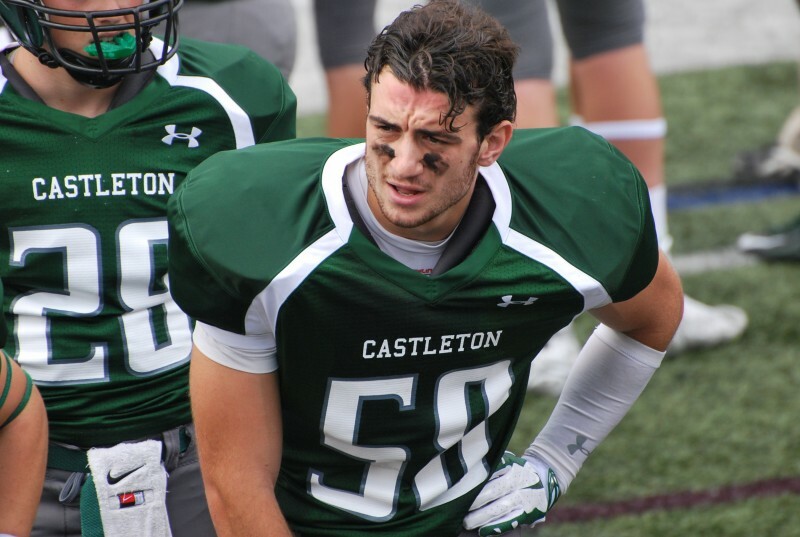 Having access to an abundance of resources on campus has also been a beneficial asset to Bendavid, both as a student and as an athlete at Castleton. Beyond the classroom, he served as a member of the Spartan football team and is the Senior Class Vice President. “Both have been great experiences representing the school and furthering my education,” he said. It is because of the many opportunities the University has provided that Bendavid felt well prepared for life after graduation. “The campus is growing everyday and the activities that the school offers seem to be endless,” Bendavid said.